I've been researching BlackBerry 10 phones all week, poring through written and video reviews, and scouring forums to get a feel for real-world experiences. I was pleased enough with what I learned to want to actually see for myself what they were all about, so I went to my local Verizon store today to look at their display models. At first, I thought I would want a Q10. I mean, if you're going to get a BlackBerry you might as well get what they're known for - an amazing physical keyboard. I have always dreaded typing out anything longer than a few sentences on my iPhone because I tend to spend a lot of time fixing auto-corrected words and correcting typos (although recently turning off auto-correct and trying to type in landscape mode whenever possible has yielded a notable improvement for me). 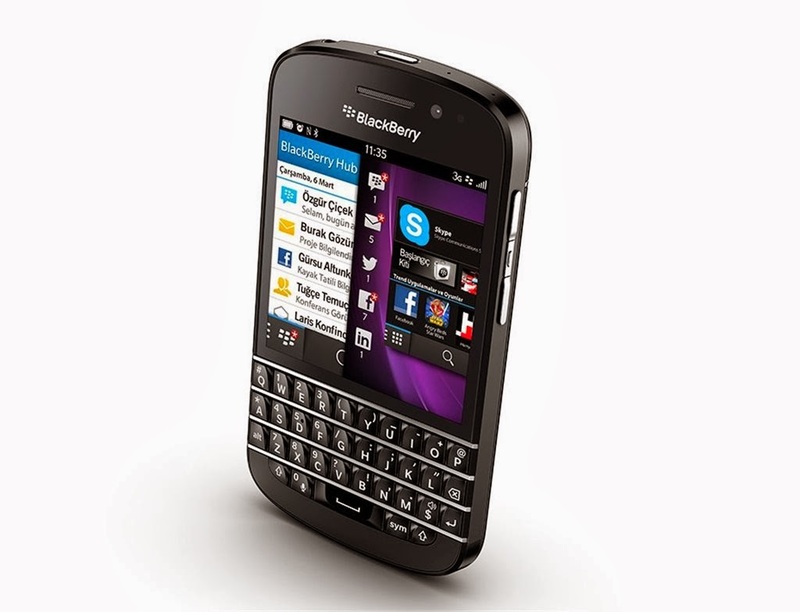 I once used a BlackBerry Curve as my daily driver and remember flying through emails and texts on it, so surely I would be happy with the Q10, right? Actually, after giving it some serious thought, I don't believe I would. As great a device as the Q10 is, I've become so used to the screen real estate of touch-screen-only devices that I didn't want to sacrifice that even for the physical QWERTY goodness. Q10 owners in general absolutely love the device. It's just not for me. And I've also heard some great things about BlackBerry's touch-screen keyboard. 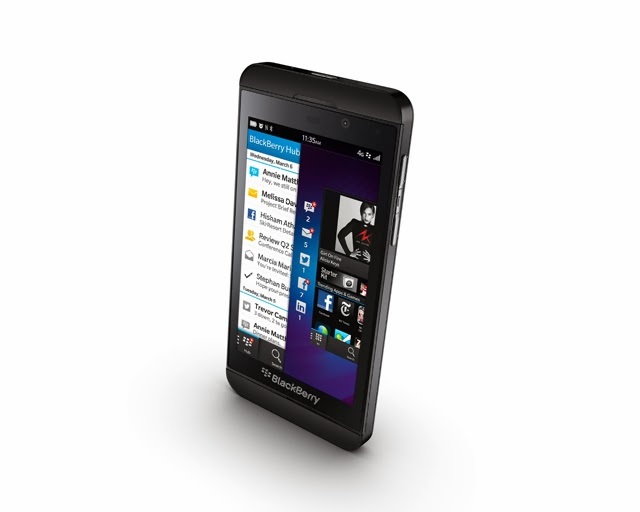 So that led me to look at the Z10. The first BlackBerry device to run the new BlackBerry 10 operating system, the Z10 has been put through its paces by many and proven to be a great device in many respects. Common complaints are battery life (true of just about any smartphone on the market), and lack of apps (a deal-breaker for some). The screen actually has higher pixel density than the iPhone's Retina display. It has 2 GB of RAM (twice the amount of the iPhone 5 and even the newer 5S), a more-than-decent 1.5 GHz dual core CPU, 8 megapixel rear camera, front-facing HD camera, user-replaceable battery, and expandable storage up to 64 GB. Two of the many things that made me seriously consider this phone above its BB10 buddies were the user-replaceable battery (Q10 is also user-replaceable, Z30 is not) and the good-sized, gorgeous high-pixel-density screen (in terms of screen resolution, it's the best BB10 device). Until I actually handled the display models and looked at them side-by-side, I wasn't sure if I wanted the Z10 or the Z30. It only took me about 30 seconds to decide that the Z30 was THE phone I had been looking for. I ordered one on the spot. The photos and video I viewed of the Z30 in action didn't do it justice. In person, the phone just looks fantastic. At first, I was afraid the lower pixel density and resolution of the Z30 compared to the Z10 and my iPhone 5 would be painfully obvious. I notice those things. But actually, from a normal viewing distance, it looked great. All I saw was that big, beautiful screen with crisp detail and vivid colors. Side-by-side with the Z10, the Z30 appeared a bit more polished and refined, like BlackBerry had really taken their time with this one and put a lot of thought into it. 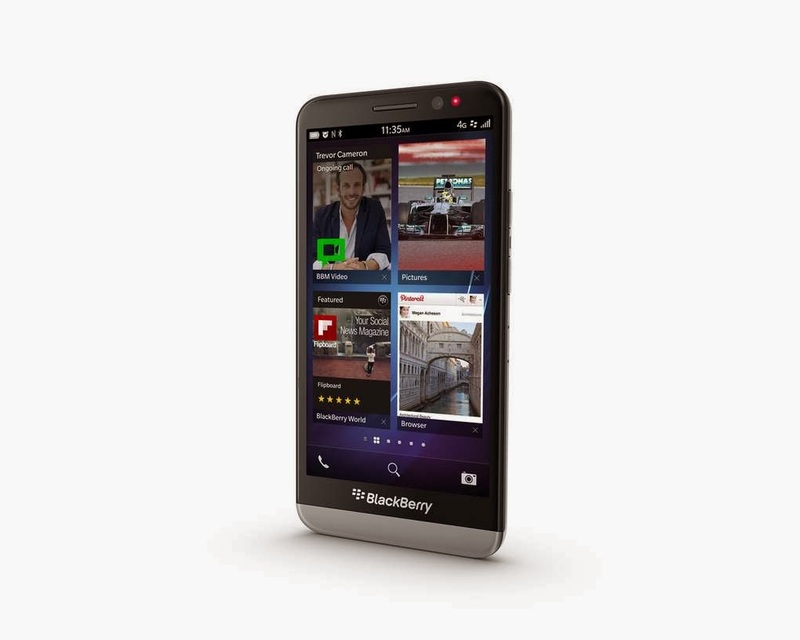 That is not to say the Z10 isn't well thought-out or designed, but the Z30 is not so angular and imposing as the Z10. It still looks like a phone that means business, just with a bit more finesse. I think the look and feel of it could really appeal to a wider audience than the Z10 or Q10. The non-user-replaceable battery turned out to be a non-issue for me, as well. The Z30 has a massive battery that will last notably longer than my iPhone's (which was also not user-replaceable). These Verizon model Z30s also support wireless charging, a feature that might come in handy. 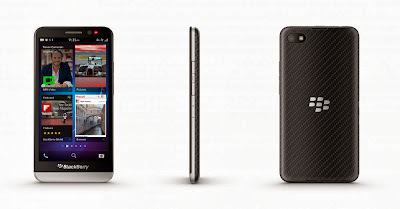 The other specs are comparable to or an improvement upon the Z10, with the exception of the screen resolution and pixel density. Overall, it really is just a great phone in terms of form and function and I'm excited to put it to use when I receive it in a couple days! Let me back up a bit and share with you why I even looked at BlackBerry devices again in the first place, especially so soon after getting an iPhone. I listed several reasons in a previous post, but as I was thinking about this more today I realized it really comes down to a few major points for me. First, my wife's iPhone 4 - while it has been a great device since I got it for her a year ago - is showing its age. She sometimes expresses frustration at its slowness with certain apps. And the carrier she's with doesn't have the best coverage in our area. She's on a no-contract plan, so this affords her a good opportunity to come over to my Verizon plan. She was more than happy to take my iPhone 5, which allowed me to switch to the phone of my choice. In trying to decide which phone I would get, the iPhone 5S was just not an appealing choice. I got my iPhone 5 back in July, before the newer 5C and 5S models were released. I did this on purpose, knowing that the 5S would not have any significant upgrades from its predecessor. I don't need or want a fingerprint scanner, and it will be a long time before 64-bit processors are put to good use in mobile devices. The RAM is the same and the form factor is the same. iOS 7 is, I believe, an improvement over its predecessor, but still not something that absolutely blows away the competition in my view. The iPhone 5S just didn't offer me any compelling reasons to wait for it back in July, and it still didn't offer me any compelling reasons to get one now when I had an opportunity to do so. The second reason, simply put, is BlackBerry itself. BlackBerry, for me, stands apart from other platforms in a good way. As troubled as it has been over the past few years, I like the company and I like its approach to mobile devices. I'm cautiously optimistic about BlackBerry's future now that they have a new, proven CEO at the helm along with an infusion of cash. While Apple, Android, and Windows Phone devices seem to be focused primarily on content consumption with the actual communication aspects as an afterthought, BlackBerry devices are designed with communication as the primary focus. Apps are great, don't get me wrong, but if you have to switch in and out of several different apps just to catch up on all your texts, emails, IMs, social media, and other communications, it gets rather repetitive and inefficient. The so-called "app gap" may not be an issue for BlackBerry much longer, anyway. The upcoming version of BB10 will allow you to install Android apps. But for me, it's all about the BB10 Hub! This fantastic feature unifies all your communications into one easy to manage feed that you can access with a simple swipe no matter what you are doing on the phone. That is exactly the kind of functionality I want! If I'm watching a YouTube video, for example, I don't want to have to pause it, return to the home screen, and open a separate app to see how many unread emails or texts I have. On a BlackBerry 10 device, with a simple swipe I can see all of that and keep the video playing. And with BB10's true multi-tasking capabilities, I can even keep the video playing in the background while I respond to an email without ever having to return to the home screen. Android, iOS, and Windows Phone just can't do that. Not as efficiently or effortlessly, anyway. Lastly, I am a fickle technology geek. I love tech. I love to read about it. I love to tinker with it. I love to talk about it. I love to hear others talk about it. You get the idea. I've owned and used devices from the other major platforms - Android (Galaxy Nexus), iOS (iPhone 5), and Windows Phone (Lumia 521). 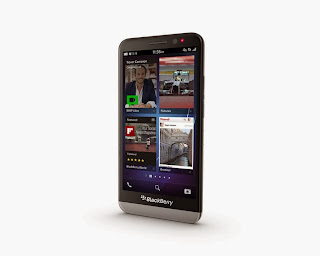 BlackBerry 10 is the only platform I haven't tried. I'm curious. And if I don't give BB10 a good shot like the rest, I'll forever wonder what I'm missing. There are many more reasons behind this latest move, but the above are the major ones. Thanks! The LG G2 is not a bad phone at all, so the fact that you like the Z30 says a lot. Love my Z30... I've avoided Apple since being disappointed with a few of their older devices. Actually, the devices were ok. What I didn't like was their zeal to have their clunky software dominate my PC. Plus, I have always been able to find a better alternative for far less money. Apple must be doing something right, because they're still hugely popular and iPhone owners are largely very happy with them. They're great at what they do. I've never been a fan of iTunes and its bloat, either. Glad you're loving your Z30! Went from Note 2 to Z30 and haven't looked back, especially after installing the latest leaked OS where you can install most of the popular android apps (Netflix, Instagram, Vine etc). I'm very excited about being able to install Android APKs, but don't know if I'm brave enough to try installing the leaked OS. I have the 10.2.1.1055 leak on my z30. Unless you are comfortable with leaked OSes, I'd say wait for a few more versions to leak. I personally love this leak, but I acknowledge that it's still very beta. That said, running apks on my BlackBerry is frigging awesome. it completely breaks down the one real issue with BlackBerrys- the lack of apps. Dallin, just jump on the bandwagon and install the leak. Took me 10 minutes without an hitch. You can check out the crackberry forum for more. I am downloading my favorite android apps directly to my phone and have the best of both worlds. Great article I switched from Z10 after getting my hands on a Z30 from a BlackBerry rep. Amazing phone once you get 10.2.1 on it (I'm running the leaked OS) it allows for almost any android app the doesn't require google services. Battery life, build quality and speakers are amazing. All wrapped up in a sleek professional looking phone. Wouldn't trade it for anything and have tried out the competition as my dad has a iPhone 5/dad has a Note 3.